Back in Tokyo it rains every day, sometimes for ten minutes, sometimes all day long. 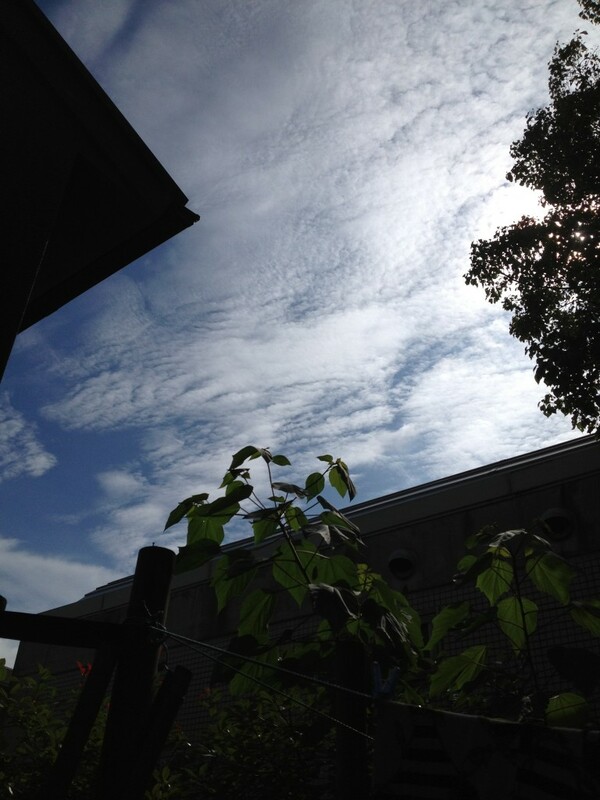 Today is the first day that I have seen blue sky drifting behind the storm clouds. 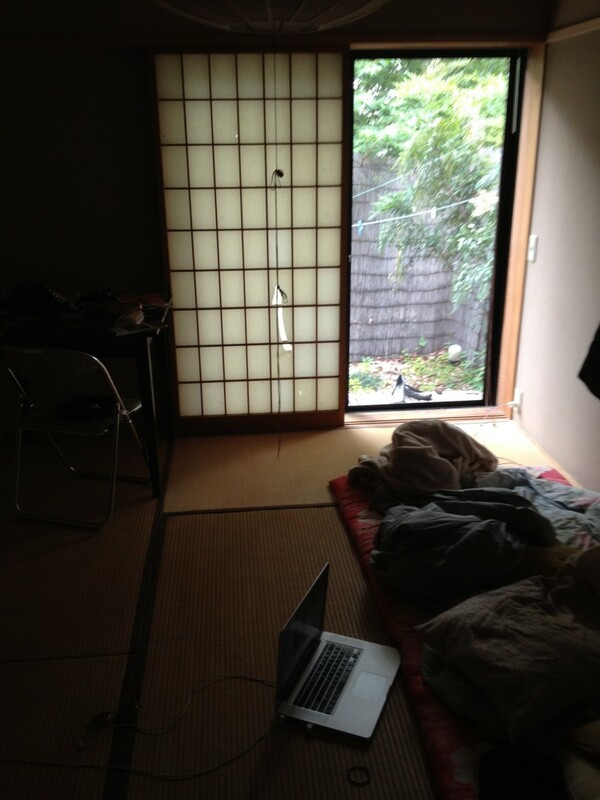 The sun came out to say hello for a short time and the family I am staying with departed, leaving the sounds of the trees rustling in the backyard casting shadows around my bedroom’s tatami floor. I had a scare a immigration for the first time which I will describe with more detail in my next entry– but basically I was interrogated in a little room for an hour and told that I should not come back to Japan until I have a visa, or until January of next year. In my short few days here I have already taken this into account and begun to appreciate every day that I am allowed to stay in this beautiful country. I love my new bag by Korean designers Joseph and Stacey! 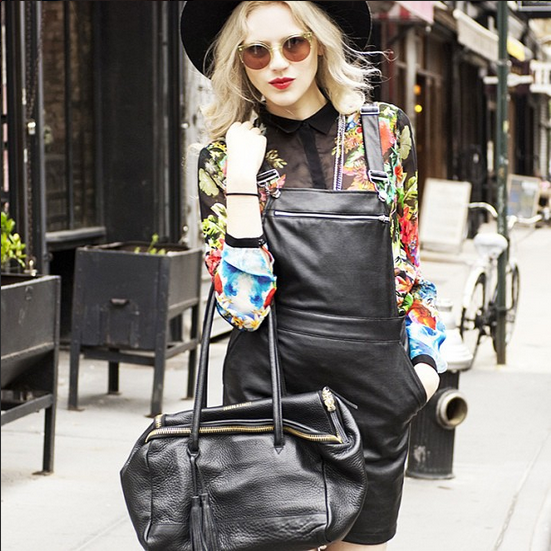 Additionally these leather overalls from The Caravan are my new favorite way to bow to the summer’s heat.